The North Carolina Clean Energy Technology Center just released their comprehensive The 50 States of Solar: Q1 2017 Quarterly Report. It provides a detailed look at the newest solar and utility policies that transpired over the past three months. The report also reveals key insight into the latest trends for distributed energy resources (DERs) and behind the meter (BTM) systems -- predominantly PV systems on houses. Here’s a synopsis of the report’s four big-picture insights. Utilities continue to experiment with a variety of new rate structures for customers to have solar. Two of them, Eversource and Oncor, are combining aspects of different rate fees like fixed charges, demand charges, and minimum bills. While these new concepts haven’t yet become widespread, be on the lookout of the various hybrid fees appearing on your energy bill. 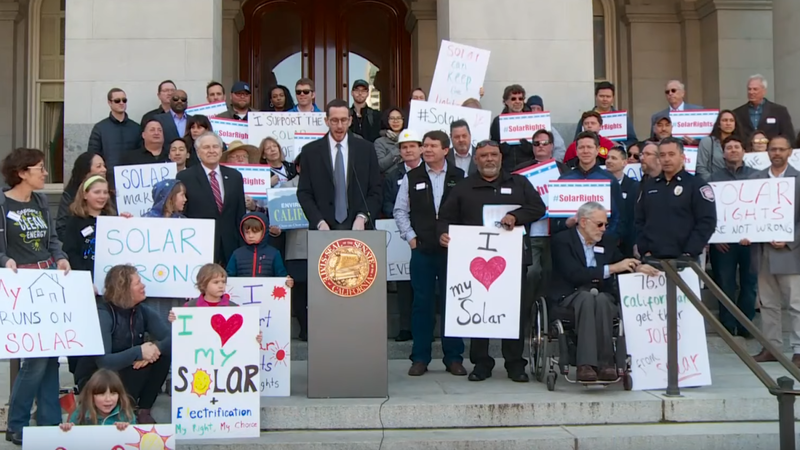 At least 65 net metering bills were introduced in state governments this quarter. While the actions varied in scope, the majority focused on customer net metering rates and virtual net metering. 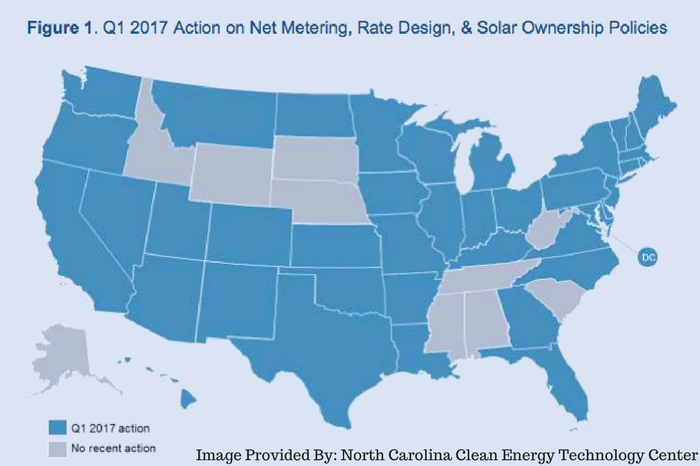 Net metering is second only to utility requests to increase the fixed rate in the number of actions recorded. Not one single utility received the full rate increase they requested this quarter, and on average were granted only 19% of the amount first requested. 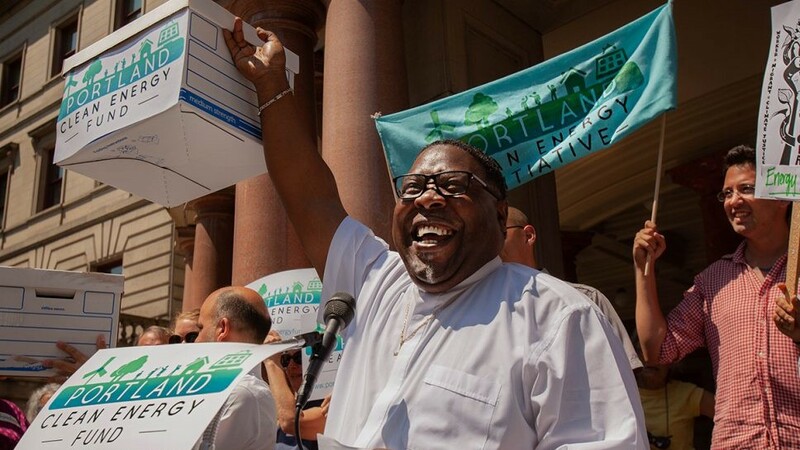 Two utility applications were withdrawn, and two were completely denied. Virginia is the 17th state to permit statewide community solar in its borders. Five more states have introduced new community solar legislation, so there’s even more progress on the horizon. 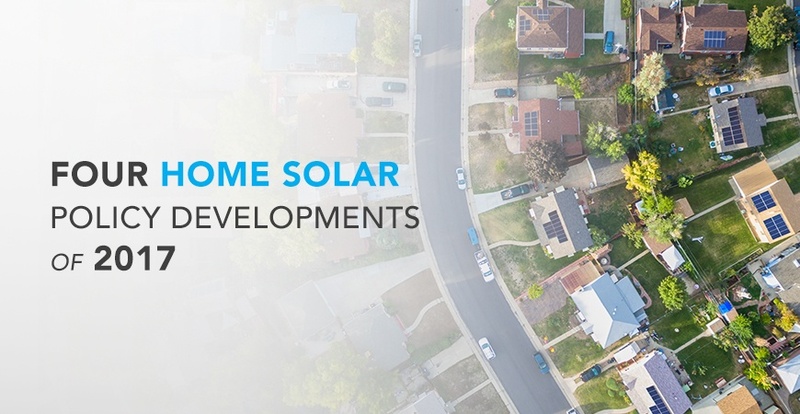 With the size of community solar systems starting at 50kW, these systems could power entire blocks of homes at once and reduce the initial capital costs for individual homeowners. These four insights reflect an overall positive quarter for home solar adoption. While utilities are continuing to experiment with new ways to charge homeowners with solar, they largely haven’t succeeded in raising the electricity rates to any customers. 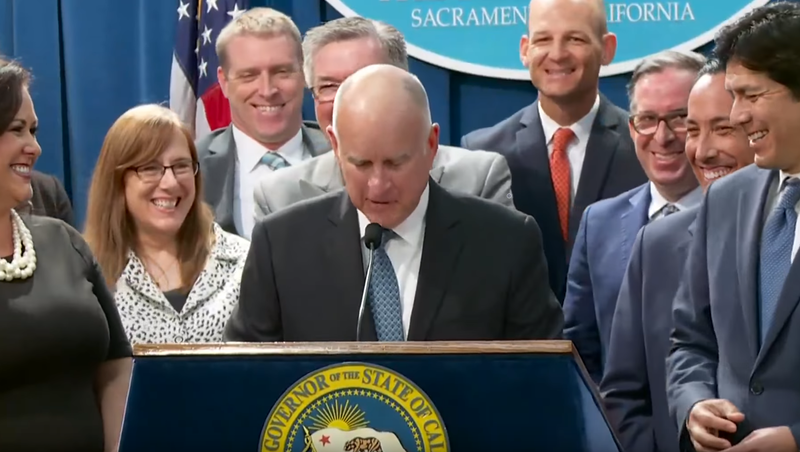 And with innovative policies like net metering and community solar increasingly being promoted in new states, wider adoption is on the horizon. Learn more about your state’s net solar policy situation by speaking with one of our Solar Advisors at 888-454-9979. You can also learn what solar costs and savings are for your area by using our personalized bid generator. 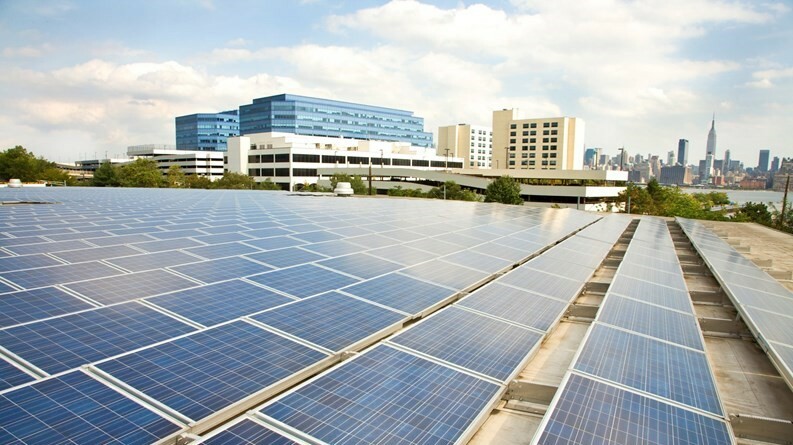 Located at N.C. State University, the N.C. Clean Energy Technology Center promotes a sustainable economy by teaching, demonstrating, and providing assistance for the clean energy space, its practices, and its policies. They are also responsible for administering DSIRE, which is a resource that provides homeowners with available financial incentives and current policy. 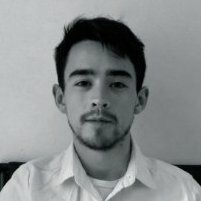 DSIRE stands for the Database of Incentives for Renewables & Efficiency.